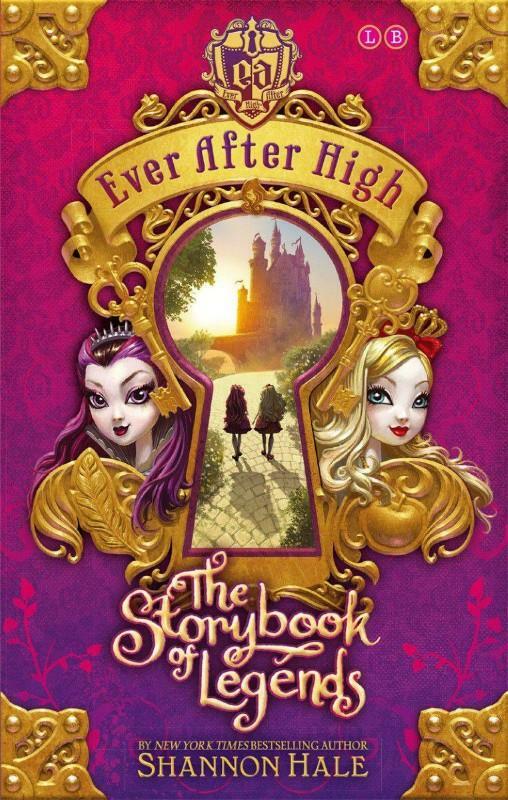 Things have been turned upside down at Ever After High ever since Raven Queen decided she didn’t want to follow the evil destiny get out in front of her. It turned out she wasn’t the only one. 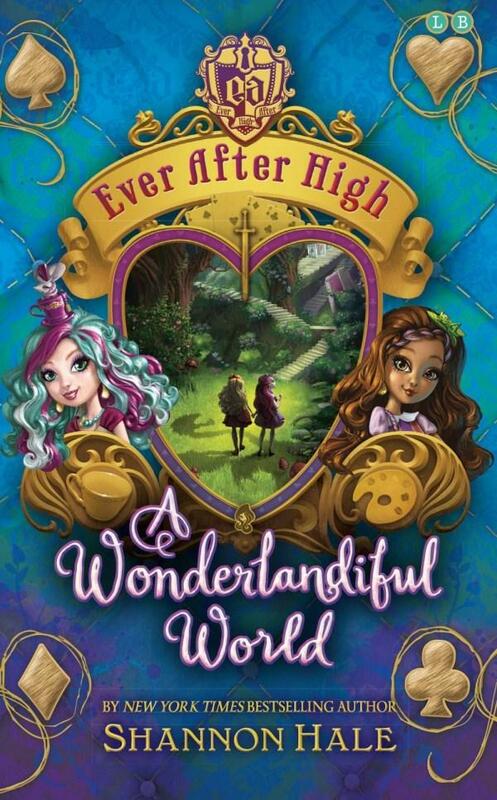 With things that followed though a creature from Wonderland has escaped from it’s prison and it seems to be infecting Ever After high with a corrupting magic that makes everything go topsy turvy. Sometimes destiny isn’t what others want it to be for you, sometimes it is what you find for yourself along the way. Maddy Hatter understands it is Wonderland magic because it feels all twisty and home like. Lizzie Hearts feels the pull of home but she struggles to balance the lessons of her mother and the things she is feeling. Kitty Cheshire joins her Wonderland friends because Wonderlandians need to stick together even if they feel they can’t do what needs to be done. Cedar Wood has always wanted to be a real girl, but at what cost? It seems she is one of the few who can combat this growing, twisted magic. Along with the descendants of those from Wonderland, Cedar has to step up and save her friends. This third instalment is just as enjoyable as the previous two. It is fun to delve into a world that houses characters so familiar and yet not. It is nice to see the characters develop into their own selves in the face of danger and change, when form says change is bad. I like the fact these characters buck against what others say is expected of them to find their own way, finding value in things they may not have thought to before. The moral, if you could say there was a moral to these stories, is that your path is the one you choose, you don’t have to let others choose it for you. I like that. The idea you don’t have to conform when you see a different and even better way. Each of the Wonderland characters gets to grow a little in this story but really it is Cedar Woods arc that is the most interesting as she has the most to gain and the most to lose. I love these characters and Hale has managed to stay true to a fairy tale mode yet imbue the characters with modern attitudes and dilemmas. Raven Queen is one of the many next generation fairy tale characters who will grow to take their place in the fairy tales. The problem for Raven, daughter of the Evil Queen, the most evil Queen in the Land of Ever After, is that she isn’t so sure she wants to follow in her mother’s footsteps. With Legacy Day approaching, the day the students sign the Storybook of Legends, vowing to continue the tradition Raven’s doubts increase. She struggles to find an answer to this dilemma. She likes Apple White, she doesn’t want to have to be the one who becomes her enemy. Apple on the other hand, wants nothing more than her Happily Ever After and will do everything she can to ensure that Raven falls into line. I loved this book. Sure there are the goody two shoes characters, and Apple’s determined belief that the traditional happily ever after is the right way for everyone, even when not everyone gets a happy ending, does get a bit frustrating. However she is the perfect balance for the more complicated views of Raven. Raven is a strong and interesting character, I like the way she looks at what has been put in front of her and chooses to not be bad. The dynamic between the characters is a lot of fun. I really enjoy the way Hale has put this world together. I like the darkness underneath, it gives what could have been a really fluffy concept, some real depth. Hale has managed to put the very modern concepts of high school interactions into a world populated with fairy tale characters. The sub-plots give this story something a little extra and I am sure much of this will play out in the individual stories that have been released, though I have yet to read them. I can’t leave this review without say just how much I loved the characters of Maddie Hatter and Cerise Hood. I loved this book. It is one of the few that my Miss has devoured and I am so happy to recommend it. Little Red lives in Fairytale Village, and you know how the rest of the story goes. There is a bad wolf, a grandmother and a woodcutter. 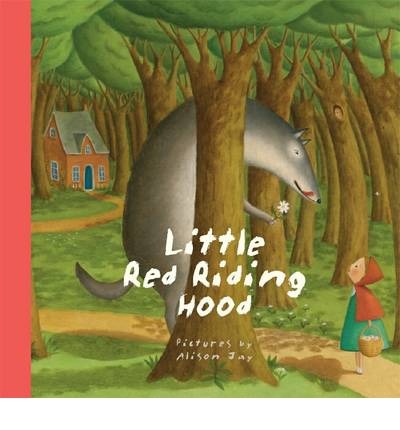 What is really awesome about this picture book is Alison Jay’s illustrations. They are amazingly detailed and very distinctive (the cracked ceramic looking finish). Fairytales are fun to share and little children will enjoy this version, but they will enjoy it a little more if you take the time to really examine the pictures. You will see if you look, the Frog Prince, Rapunzel, the Three Little Pigs, Hansel and Gretel and Puss in Boots. There is more than one stray going on this day, in Fairytale Land. A really lovely book and recommended. Sophie is so excited. Every four years two children from Gavaldon are kidnapped, supposedly they are taken to the School For Good and Evil. There the good one would be trained to be a fairytale princess or prince, and the bad one a villain. Sophie is so sure she is going to be taken to be a princess, it’s all she ever wanted. It is her destiny, her escape. She is everything a princess should be – pretty, blonde, health conscious and does good deeds. 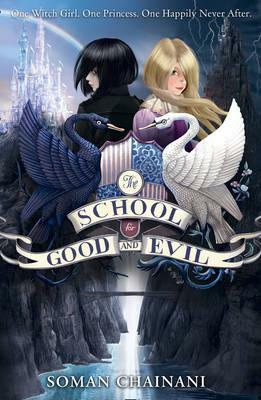 Her best friend Agatha doesn’t see things that way, everyone expects Agatha to be taken for the School of Evil. Agatha is dark, moody, not easily befriended and lives in a cemetery. Things however don’t go to Sophie’s plan. Sure both girls are taken but the rest goes all wrong. It seems sometimes the princess and the witch don’t look like everyone expects then to. I don’t want to say much more about the plot because I don’t want to give too much away. This was a wonderful story. It takes the cliches and gives them a little twist. Chainani has created a world that is real and yet seems to have been created with tongue firmly planted in cheek. I love Agatha, she doesn’t fit but she does. Sophie is so determined to prove what she is that she misses what is plainly clear. The characters that surround our central two have as much to learn as they do, they see what they expect to see rather than what is really there. A wonderful, and enchanting tale. Delicately crafted and layered. This story is all about the layers. It isn’t about what you see on the surface, rather it is about motivations, what is truly at the heart of someone. This idea is what drives this story along and it is told without preaching. The packaging, the world, the school is colourful, full of wonderful contrasts. The jump between good and evil is fluid, it never feels clunky. The descriptions make it easy to picture the entire school. Perfect for those who love fairytales, or even just a good story. Great for 10+ but younger YA readers will love it too. Briar Rose loves fairy tales, it’s a bit silly really but that’s how it is. She lives in the same town her family has lived in for generations, and is even involved in a honest to goodness family feud with the Quinn family. The whole thing is a bit strange, when they were younger Briar and Joshua Quinn used to be good friends, then something happened. A something that has had a lasting effect on both. The two are not allowed to talk or associate in any way. Sometimes though parents aren’t right, and now Briar is about to turn 16 she is going to find out the truth. Briar will find herself part of her own fairy tale, doomed by a curse to die. Her best friend isn’t about to let that happen and with a little magic the curse is changed and Briar is merely sleeping. It’s not just any sort of sleep though, she now finds herself trapped in a twisted fairy tale, one with elements she recognises but that is in so many ways that matter, different to any tale she has ever read. Whilst trying to understand a strange land with strange rules Briar has to find a way out, she must complete a certain task and surely then she will be free. But in this twisted fairy tale things just aren’t that simple. Briar is an average girl, who doesn’t understand her mother’s obsession with hating the Quinn family. She doesn’t understand why her mother has her effectively wrapped in cotton wool. She just wants a boyfriend, someone to love her and if he happens to be a handsome prince then that would be just fine with her. At her core Briar is loyal and brave. Her best friend Reena is the one with the magic touch and her loyalty is even stronger, she is able to see outside Briar’s prejudices and has great strength and determination. Joshua isn’t convinced the family feud is the right thing and he feels drawn to Briar. The addition of Pat, arrogant and selfish provides a nice counterpoint. He just wants to survive and get back home, he doesn’t care about the quest or helping the village, in some ways it is his character that has the most dramatic arc. Oliver has taken a familiar tale and twisted it in a couple of fun, dark ways. 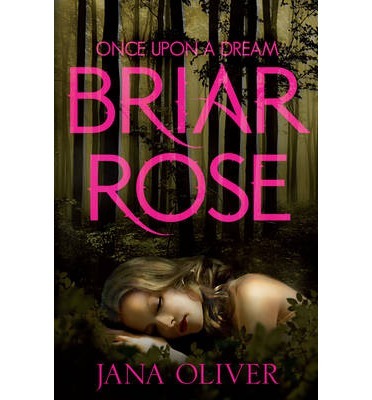 The world of the fairy tale is gritty, bleak and a wonderful contrast to the world Briar comes from. The places where it differs from the tale you expect are what really holds your attention. An intriguing read. 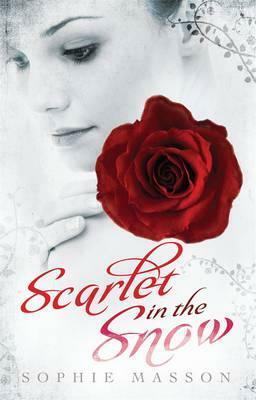 If you love fairy tales, magic and a little romance then definitely pick this book up. Natasha and her family have fallen on hard times, they aren’t living in the manner her sisters want to be. With her mother doing what she can to provide Natasha steps out to help. Then she gets caught in a blizzard, just when she thinks she is out of options she stumbles across a mansion. It’s a strange place, beautiful and mysterious, with no-one seemingly around. However when she reaches out to touch a perfect flower her life is changed forever. The master of the house is caught in a spell but that doesn’t stop him demanding vengeance for her act. She comes to see she may be the one to break this spell, to uncover the mystery, but before she can everything changes again. If she is to have a chance at the love she thinks she could have then she has to outsmart a powerful sorcerer and get to the bottom of Beast’s unknown history. A wonderful take on a couple of Russian fairytales, obviously one of which is Beauty and the Beast. Natasha is a generous, brave character. She has an inner strength that enables her to face the problems her family have and the terrifying situation she finds herself in. She is smart and determined, thinking her way through the obstacles in front of her. The world Masson has created is wondrous, enchanting, it simply sweeps you up into itself. It’s a white, icy landscape, cold in so many ways, the perfect juxtaposition to the warmth of the story at it’s heart. If you love fairytales, romance, engaging characters and a bit of mystery thrown in for good measure, then give this a shot. Actually if you just want to be swept away somewhere else for a few hours then pick this up, I read it in one sitting, staying up late into the night to finish it. I’ve just read this book and will post my review shortly but thought I’d add this for something a little different.